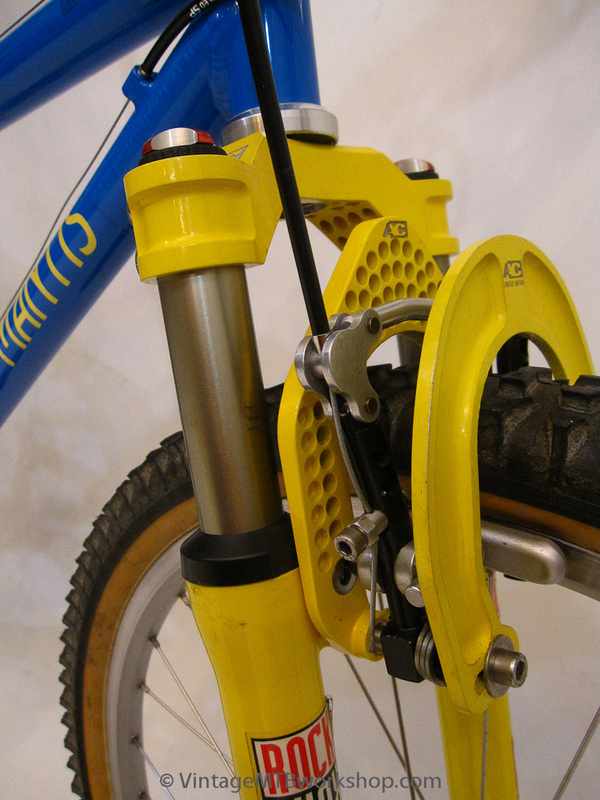 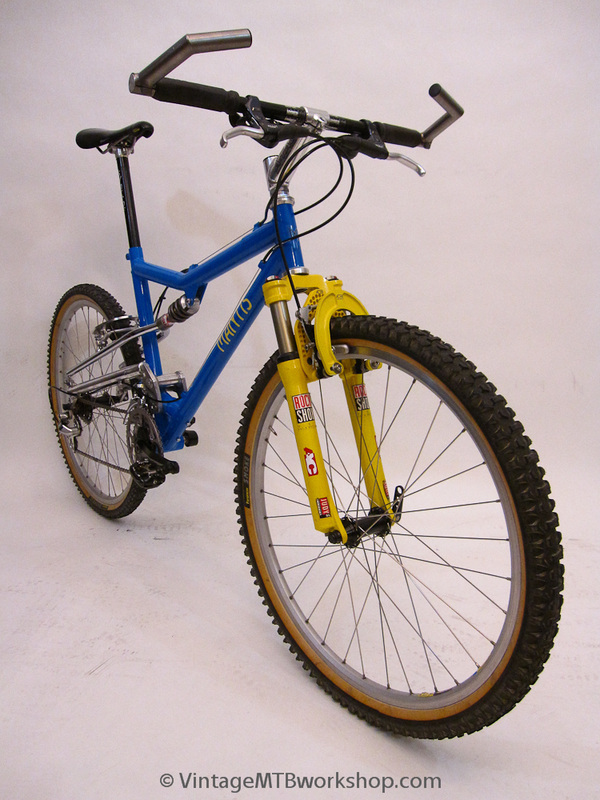 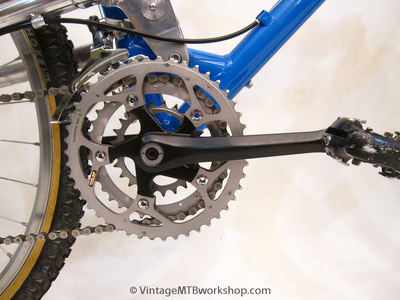 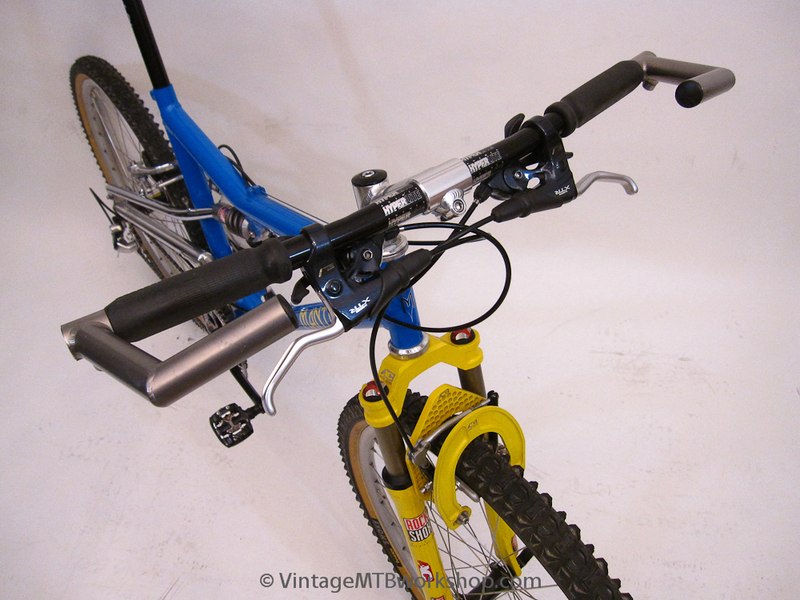 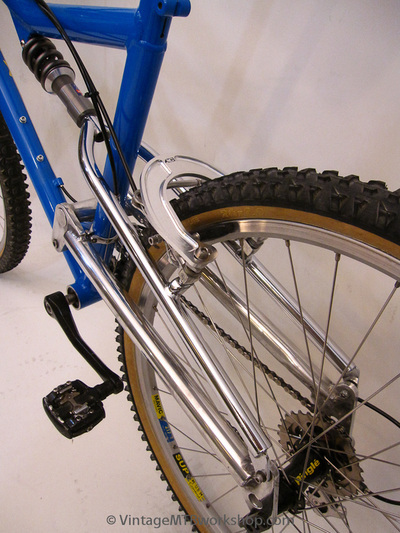 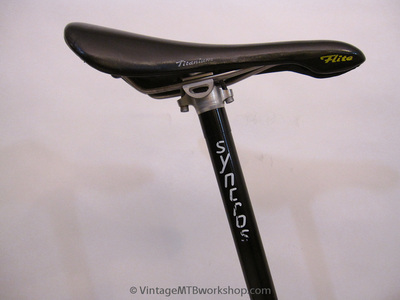 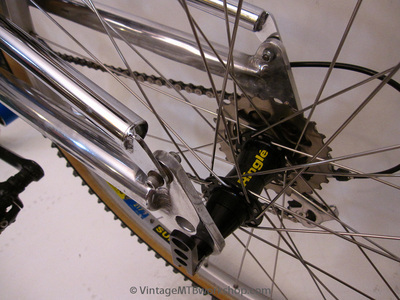 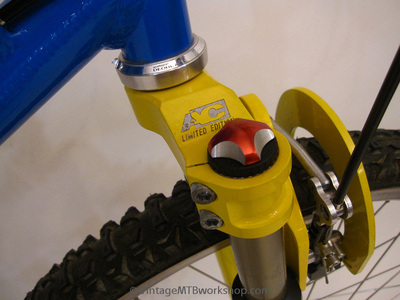 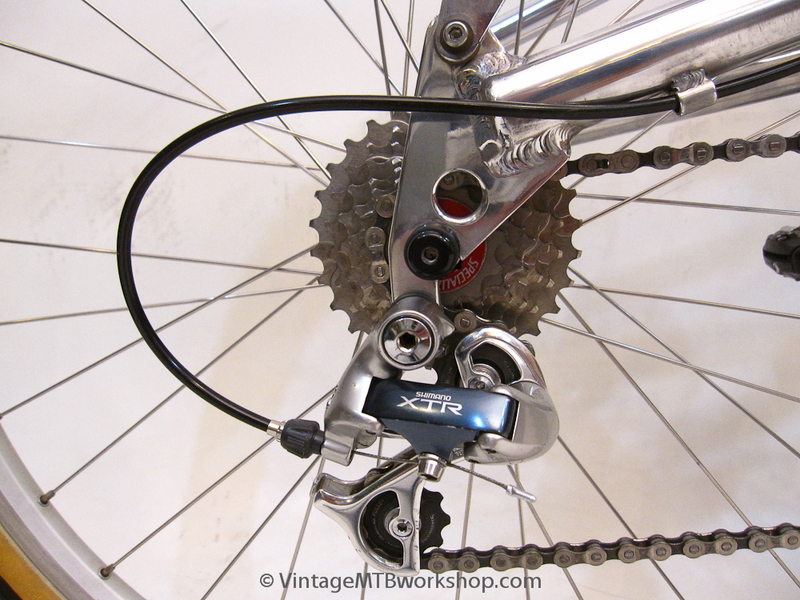 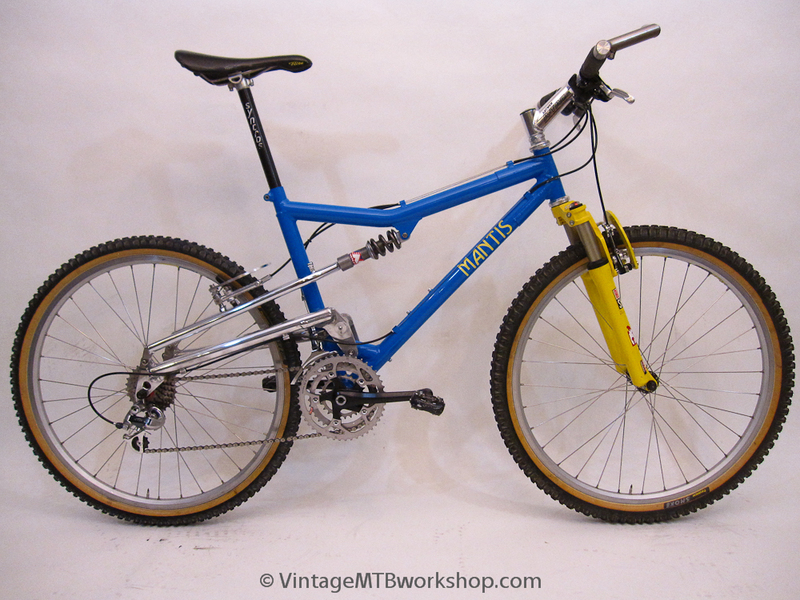 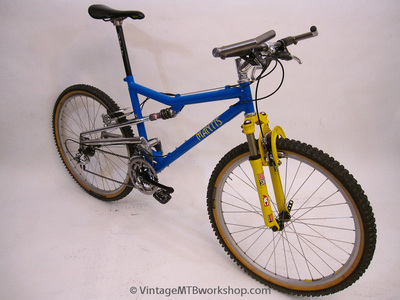 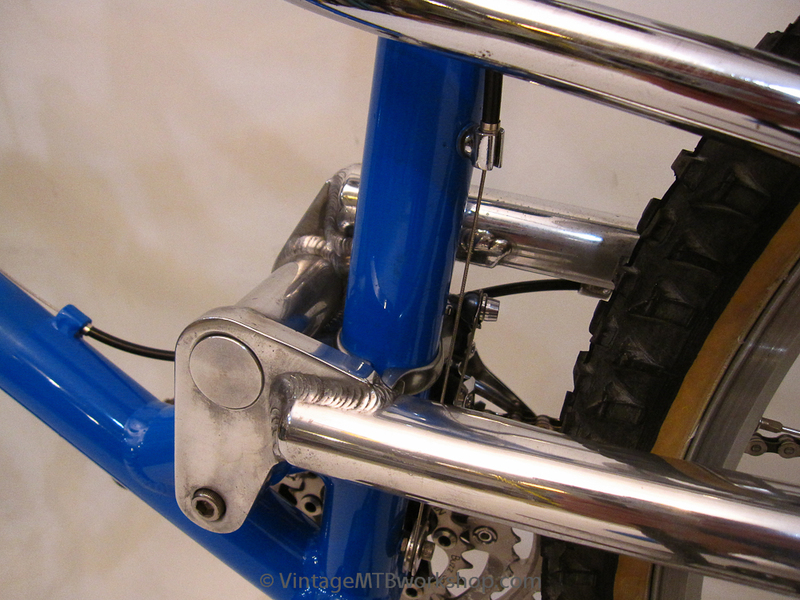 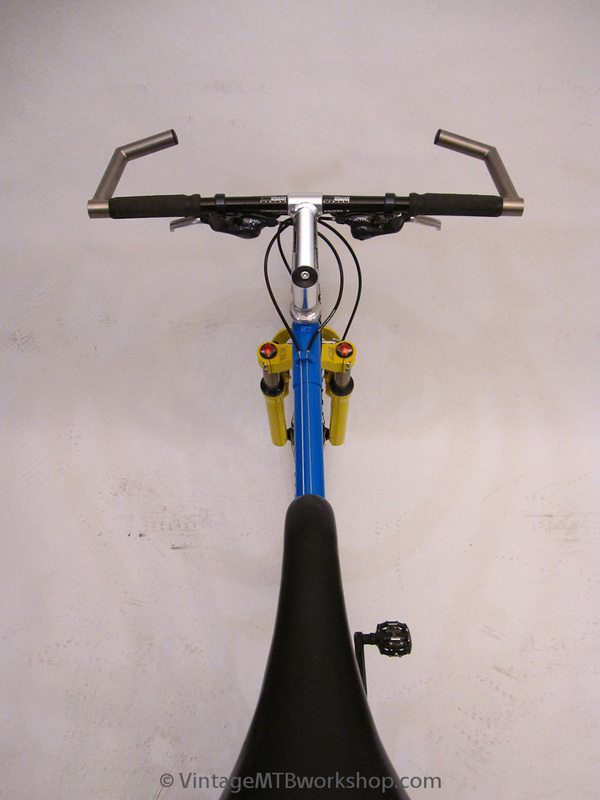 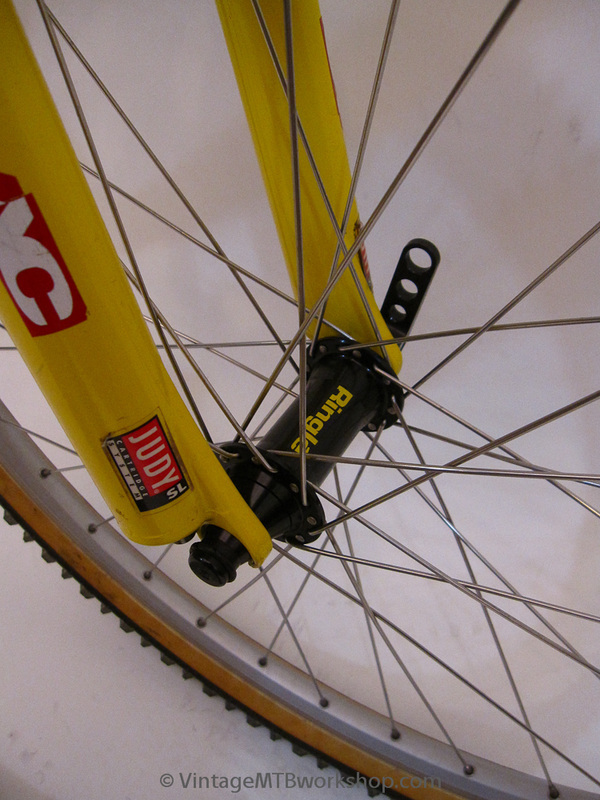 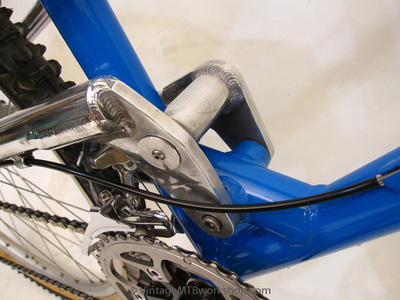 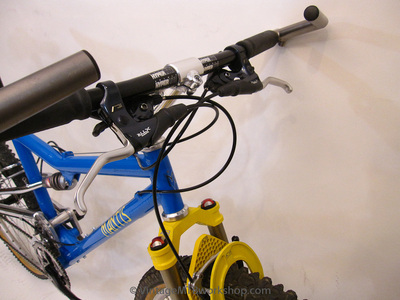 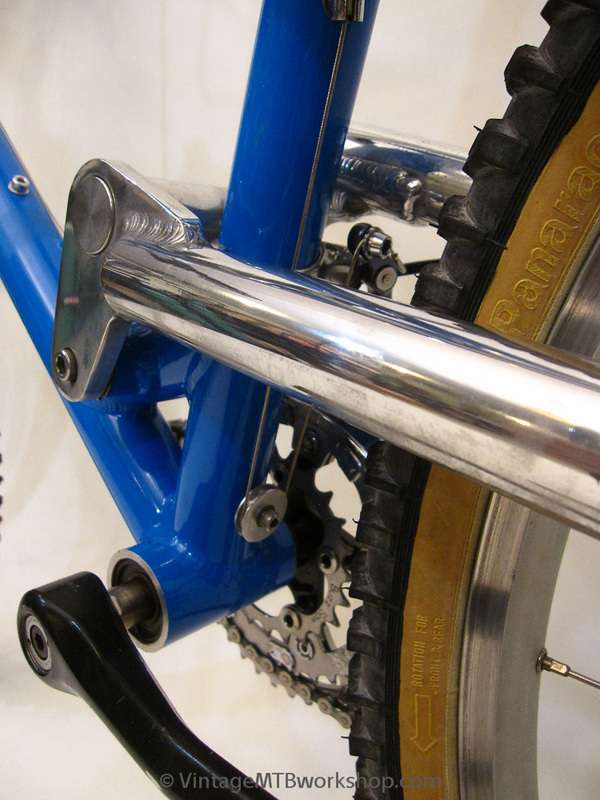 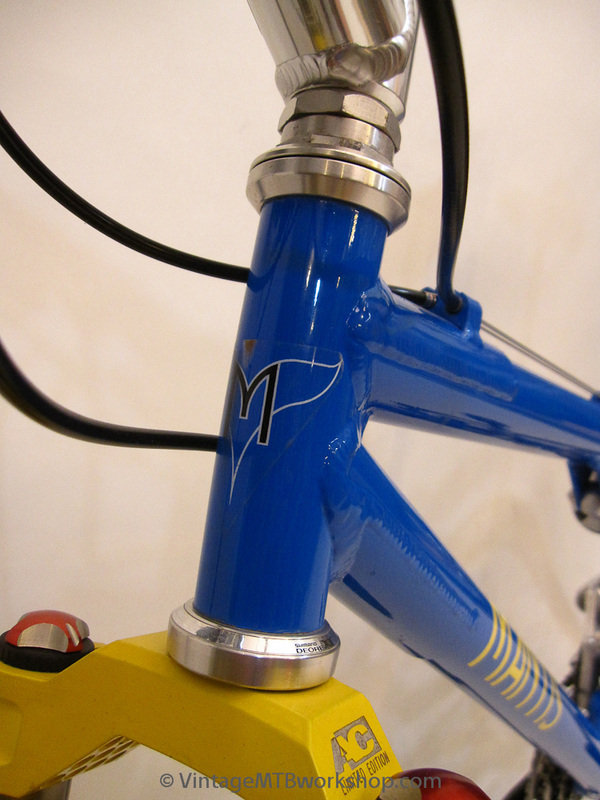 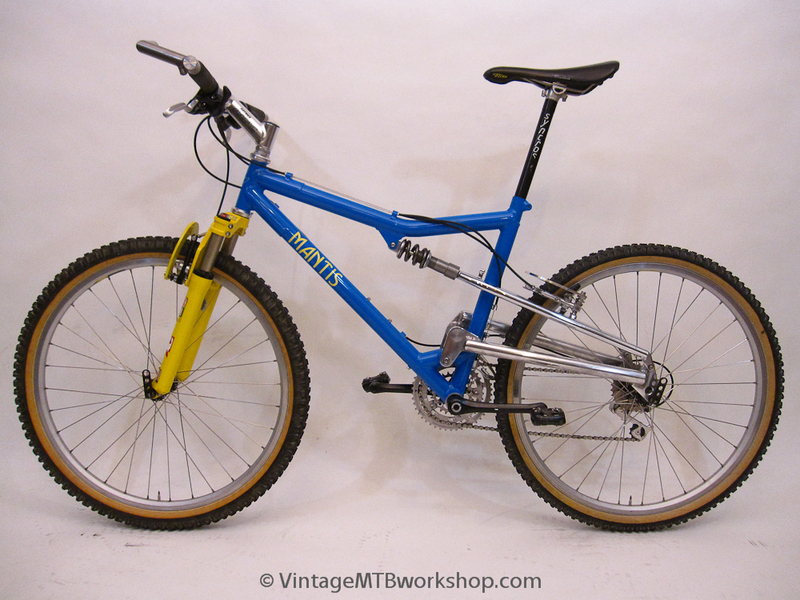 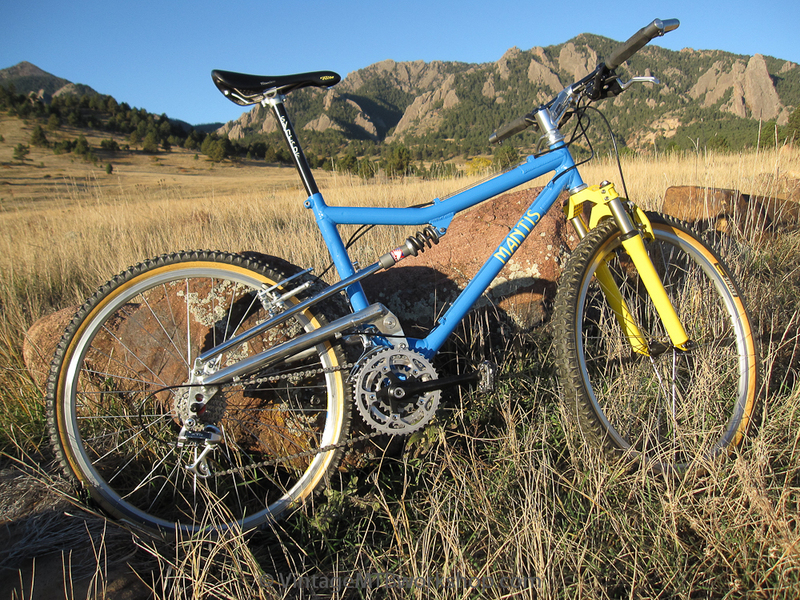 The Mantis Pro-Floater was one of the first full suspension frames that actually worked. 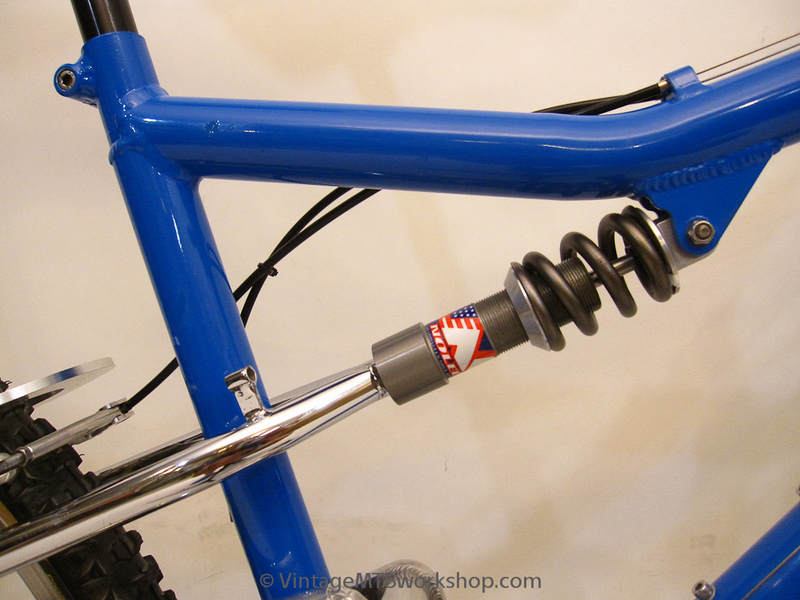 It featured a MacPherson strut suspension directly driving a Noleen coil shock with hydraulic damping, resulting in less than 3 inches of travel. 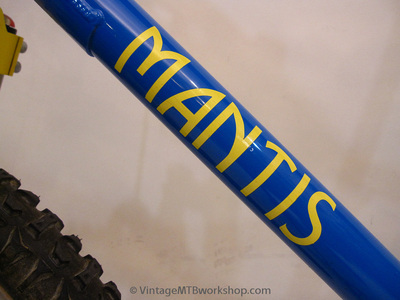 The availability of the bikes was limited at the time because Mantis had difficulty keeping up with demand, using various contract manufacturers to construct the later frames. As good as the suspension was at the time, the rear ends had a lot of lateral flex and relied on the shock for some of the rigidity. The aluminum swingarms also tended to crack on the right side near the pivot. 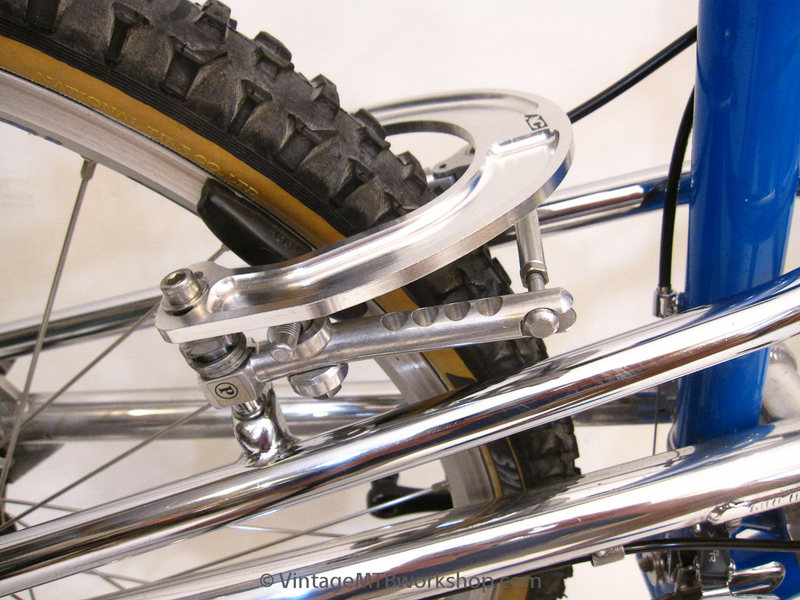 The early frames had a chrome plated steel strut such as this one. 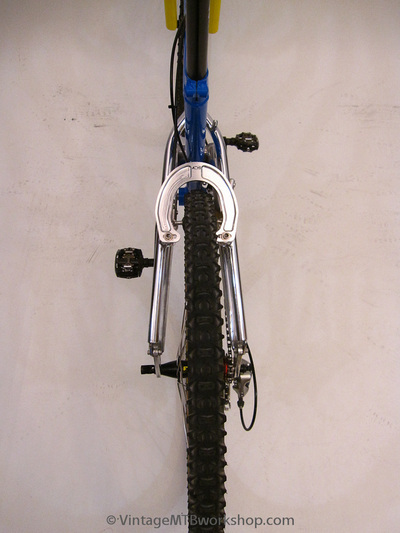 This bike resided in Southern California for many years, as reflected in the after-market build.